At Endzone Sports, helping youth football players take the field safely is important to us. 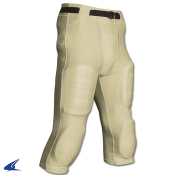 Upper body protection isnt the only important feature players need when they take the field, youth football pants are an important piece of equipment for any football player and should be included in the shopping list when buying football gear. 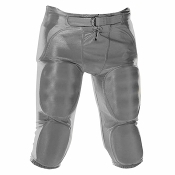 Football pants protec thighs, hips, and knees, and therefore are vital to player safety and success. We offer integrated pants with the thigh, knee, and hip pads sewn into the pants for easy on and off as well as maintence. 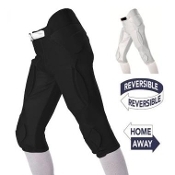 If you want more of a traditional pant, we offer slotted pants that allow you to choose your own pads and place them right into the pants quickly and easily. 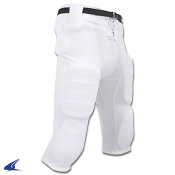 If your child has or you are just looking to upgrade, Endzone offers the technologically advanced and the most comfortable football pants so that he can be protected and perform to his ability every time he steps on the gridiron.